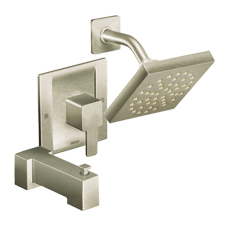 You'd be surprised to know that some of our most popular products are just parts, like the U by Moen 4-Outlet Valve and the Moen S6320 Rainshower Showerhead. These are great examples of the variety of solutions that Moen has to offer. With hundreds of faucets to choose from, you may be feeling a bit overwhelmed with PlumbersStock's selection. Use the filters on the left of the page to refine the product results to match the features you want in your kitchen faucet. You can also find specific Moen kitchen faucet parts for repair projects. 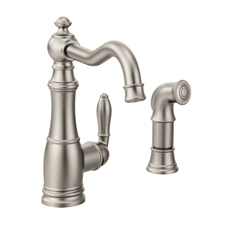 Whether you need antique bronze or stainless steel, we have the faucet for you. 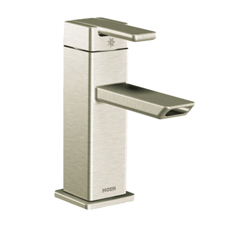 We have hundreds of lavatory faucets to offer you. With the best prices on the web, you are sure to find the perfect fit at the right price. You can find matching accessories like towel rings and soap dishes to give your bathroom an optimal look and feel. Find the part that best fits your needs, and remember to consider all areas. For instance, if you buy a Moen bathroom faucet with a two-handle configuration, you have a stylish look to your sink, but for functionality, a single-handle is more user-friendly. Choose wisely, and if you need help, please contact us. Microban - Microban technology does just as the name implies and bans those nasty bacteria that build up on your sink. This patented technology adds an extra layer of protection to your sink and helps you to keep your kitchen faucet and sink clean, preventing the spread of germs in your home. 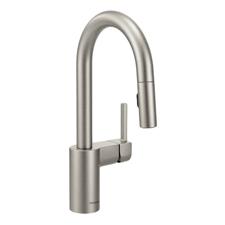 Spot Resist - Offered exclusively through Moen, Spot Resist helps you to keep your Moen kitchen faucet looking clean and sparkling. This technology helps to prevent spots that often tarnish other faucets from water and fingerprints. This will give your kitchen a 'just cleaned' look that keeps your style looking fresh and modern. That's just one of many reasons to choose a Moen faucet. LifeShine Finish - Everyone loves the look of a brand new faucet, and everyone wants to ensure that the new look will last over time. That is why Moen has created their LifeShine Finish which is an extra coating guaranteed to keep your faucet from tarnishing, corroding or flaking off. This guarantee lasts for life ensuring your kitchen faucet looks brilliant for years to come. 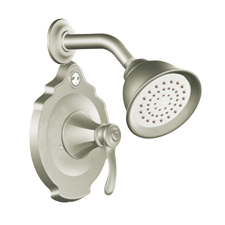 M-Pact System - The M-Pact system is a common valve system that is used with all Moen faucets. The hassle alone of installing and replacing faucet plumbing can deter a consumer from upgrading their shower. Upgrading a Moen shower faucet is so much easier. The M-Pact system offered exclusively by Moen gives you the confidence to invest in their products because you can change it out later without the hassle of replacing the plumbing. Switching out Moen products is a breeze with the M-Pact system. MotionSense - This innovative technology eliminates the need to use your hands to turn on the water. With just a wave above or below the spout of your Moen kitchen faucet, the water turns on in an instant. You can turn it off with another wave, allowing you to operate the faucet with filthy hands. When using the MotionSense feature, the water turns on to the last setting used. Of course, Moen faucets with MotionSense all come with handles so you can turn them on, and adjust the auto setting the old fashioned way. Duralock - An impressive display of ingenuity and forethought resulted in the most revolutionary installation application on the market today. 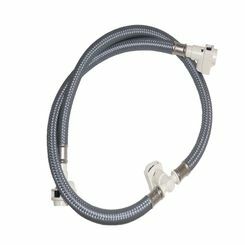 Designed to combat problems faced by installers every day, the Duralock quick-connect system offers click-to-connect capabilities and one-way installation for effortless, rapid, and foolproof water connections. Reflex - The Reflex system offers smooth operation and flexible movement with a hose that retracts with ease but also features secure docking of the pulldown/pullout spray head. Does Moen Make Efficient Faucets? Water conservation is on the minds of many consumers, and Moen is committed to providing high-quality products that help you to conserve water with each use. 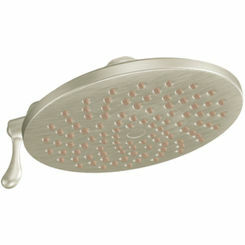 In 2010 they were awarded the WaterSense Manufacturer Partner of the Year by the U.S. Environmental Protection Agency. Moen faucets help you to save water, and they are committed to helping you find just the right part and faucet to meet your needs. These efforts to save water and money help to conserve the environment! 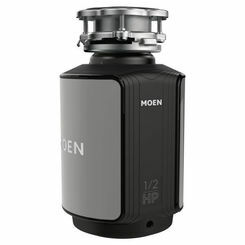 Moen is known for being industry leading innovators, and that reputation is well deserved. Our customers love the Flo by Moen Smart Valve released in 2019. This cutting edge technology protects you against flood damage and allows you to make informed decisions about your water usage so you can save your money and the environment. We sell lots of Moen parts. Their faucets' style and beauty lasts a long time, but the components don't always keep up, so if you need replacement parts, you're in the right place. 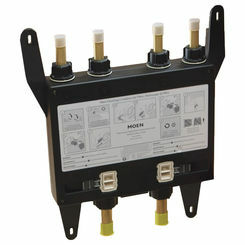 Check out this Moen Hydrolock hose kit. 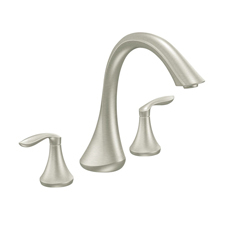 Moen has the faucet to meet your kitchen or bathroom needs, and you can conveniently find it here at PlumbersStock. Feel free to contact our service professional or browse our Moen faucets online! Learn more at Moen.com.